Planning a wedding should be fun. It’s a big day – and an important one, too. But that doesn’t mean it needs to be a hassle. Saz’s has been planning weddings and the celebrations that go along with them for a long time. Nearly forty years, in fact. We’ve learned a thing or two in this time, and we’d love to use our expertise to make the planning easier for you!  No matter where you are in the planning process, if you’re looking for a great caterer with great food that will (according to our past couples) keep your guests raving for years to come, then Saz’s has you covered. Perhaps you haven’t confirmed your venue yet, but you know you’re looking at a location between Northern Illinois and Southeastern Wisconsin. 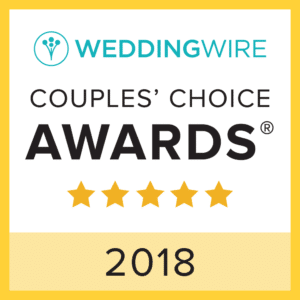 The wedding specialists at Saz’s Catering have an intimate knowledge of nearly 70 area venues – some of which are the most top-rated and unique venues in the area! Not to mention, our off-premise flexibility and versatility make us an ideal match for serving you and your guests at any location. Island weddings accessible only by boat with no running water, complete with late-night pizza service? We’ve done it. Twice. Over the past 25 years, Saz’s Catering has developed a comprehensive Wedding Menu based on menu selections and complementary services that have met with incredible success. However, our Executive Chef and his illustrious staff are absolutely giddy with excitement over the possibilities of creating something custom for your day. Whether it is a tweak to an existing menu here, a side substitution there, or a full-blown custom menu complete with all the fixings (interactive chef stations, performance preparation, made-to-order selections, extravagant dessert displays), we are here to make your vision reality. Reception with plated sit-down dinner service, as well as a mashed potato and martini bar…in the center of an alfalfa field accessible only by tractor? No problem! If you’re looking to provide the highest standard of service for your guests with incredible food and a seamless experience, then you’ve found your match with Saz’s. Not only can the team at Saz’s execute a menu with flair and finesse, but they can assist with planning outside of your menu, as well. From linens and floral to ice sculptures and lounge furniture rental, Saz’s has the longstanding connections and expert staff to eliminate much of the planning work – and stress! – from your to do list. For the most current wedding menus for Saz’s Catering, peruse the menu links above. Our seasonal menus, in particular, have met with an outstanding response this year! Bar service, vegetarian, children’s, dietary sensitivity and other special menus are available on request from your event manager. Wondering if we’ve catered your venue before? Chances are good that we have, but take a look at our most recent venue listing here. By no means is this an inclusive list, but it does represent some of the venues with which we are most familiar. If you’re ready to take the next step and connect with one of Saz’s wedding specialists for more information, take just a few minutes to answer some brief questions about your initial event details and an event manager will contact you within one to two business days. Finally, and most importantly, congratulations. Planning your wedding is exciting, nerve-wracking, and exhilarating all in one. At Saz’s, we understand and we would be thrilled and honored to be a part of your special day!